Accounting for 15 marks, doing well for the Summary is essential if a student wants to ensure a distinction. The skills and techniques for this section are varied and, frankly speaking, easily available through the dozens of assessment / writing books on sale. However, while a student can decipher the points for him/herself with the answer key, understanding how to select points and improving the language mark requires a teacher’s guidance. 1. Reading the summary question carefully. Which paragraphs are they asking you to summarise? What are you suppose to include? Have you obeyed the question requirements? Marks are awarded based on the student’s ability to sieve out the key ideas and summarise them as succinct points. With a tight word limit, you need to identify the points that get you marks. Do not waste words describing the other non-essential parts of the passage. So how do we identify these points and what can we leave out? 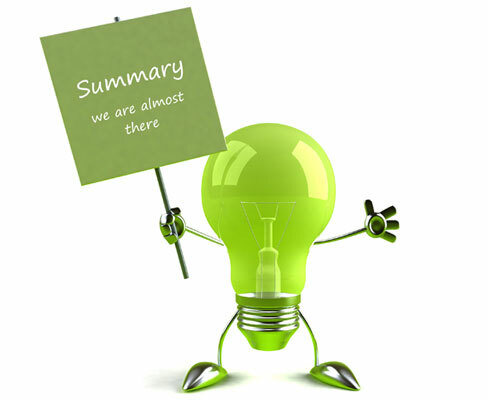 a) Examples — some summaries might require you to summarise details or examples. Don’t worry, more on that later. Then perhaps, you could summarise it as “The writer found it extremely crowded” (or something similar, depending on the question requirements) . Occasionally, the author makes reference or quotes from another person or text. This might need extra care. If the quotation or reference introduces something new such as a new perspective, emotion relevant to the text, then you might have to summarise it. BUT, if it merely repeats a key point and was just added for effect, then it can be ignored as long as the key point was already mentioned. It might seem confusing because there are little exceptions or things you need to be alert to. That’s why practice and some professional guidance is important. Over time, you will develop the necessary skills and instincts. Why is the question requirement important? Well, going back to our earlier example, if the question was “Summarise the author’s experience in the market.”, then the part of “found it hard to breathe” might need to be included. Why? This is because the sensation of finding it hard to breathe highlights a sense of anxiety which is different from just saying the author “found the place very crowded”. It adds another characteristic of the entire experience and therefore needs to be included. 2. Using your own words as far as possible. Lifting words is generally frowned upon. While you will still score for points, according to the examiner’s rubric, you will be penalised in your language marks. There are several key tips we cover during tuition. One of which is the paraphrasing of adjectives, verbs and specific nouns. Usually simple adjectives and verbs are expected to be paraphrased to demonstrate a wide vocabulary. However, this must be done carefully lest your newly paraphrased sentence sounds odd! (see the next point). More of this will be covered in our tuition classes. 3. Changing the sentence structure for difficult phrases. This is a useful skill but requires some care. Generally, students tend to summarise in a very linear fashion. They read the sentence and methodically “switch out” each word they suspect is a lifted word with an equivalent word. This is simple word for word substitution where essentially the sentence is kept in its almost original form but with several key terms replaced. This seems to fulfil what teachers will tell most students in school about not lifting but it can lead to very awkward sentences if the student is too careless. It not only sounds a little strange (as if they student is just consulting a thesaurus) but it doesn’t really reduce the word count either. An alternative approach is to re-examine what are the main ideas and rephrase the sentences in a way that is logical and fluent. Of course, that is sometimes easier said than done. Again, more of this will be covered in our classes.